Happy Hamby Campers: The Dig Tree! 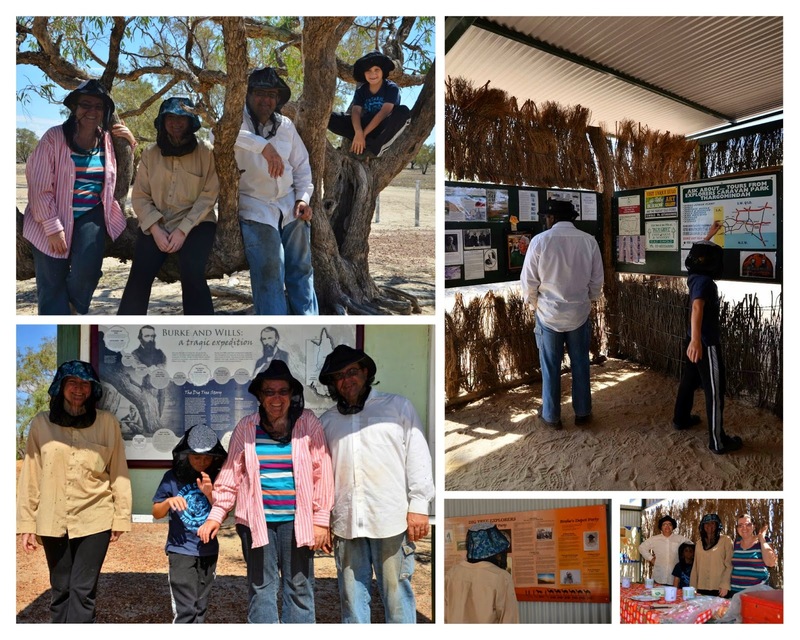 You might recall our Burke and Wills "expedition" last year - following the first little bit of the explorers' journey? 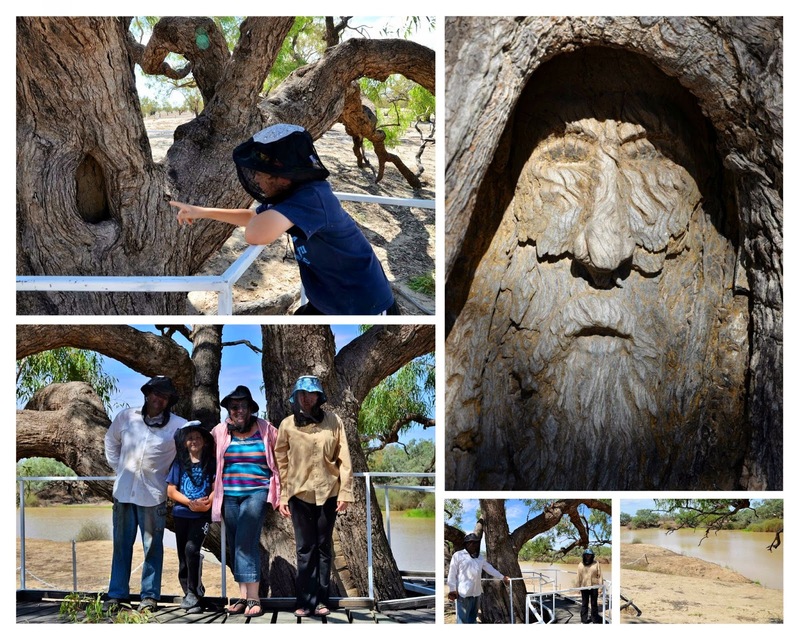 We really enjoyed the day and when we read how close (relatively speaking) the Dig Tree was to Yowah, we decided we should visit. 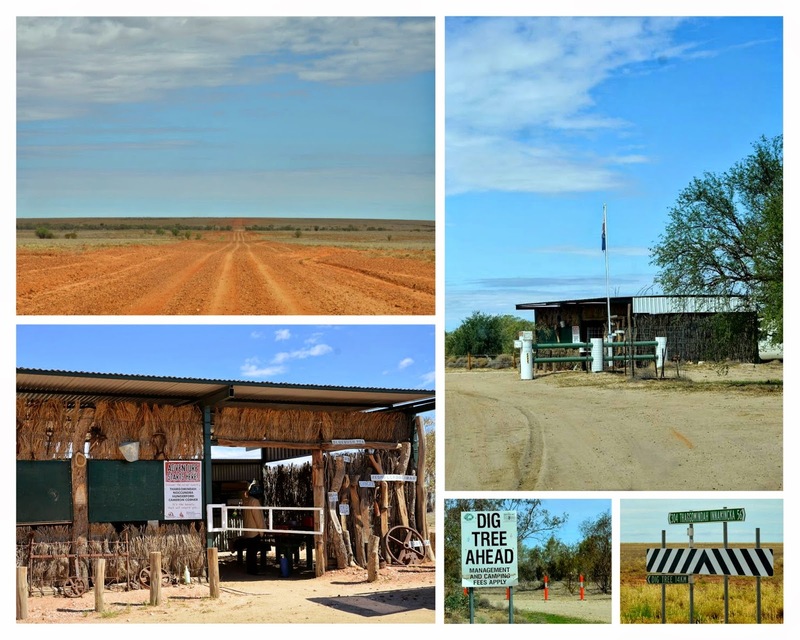 We'd passed the Dig Tree turn-off yesterday on the way to Innamincka but saved visiting till we could properly enjoy the experience. There were two 4WDs at the site when we arrived but they were packing up. We spent a couple of hours reading the info boards, viewing the dig and face trees - and battling flies for our picnic lunch. While we were there, five other vehicles drove in and did a quick lap of the site. None stopped to view the extensive information in the display hut. (None of them stopped to pay their $11 entry fee via the honesty box either).